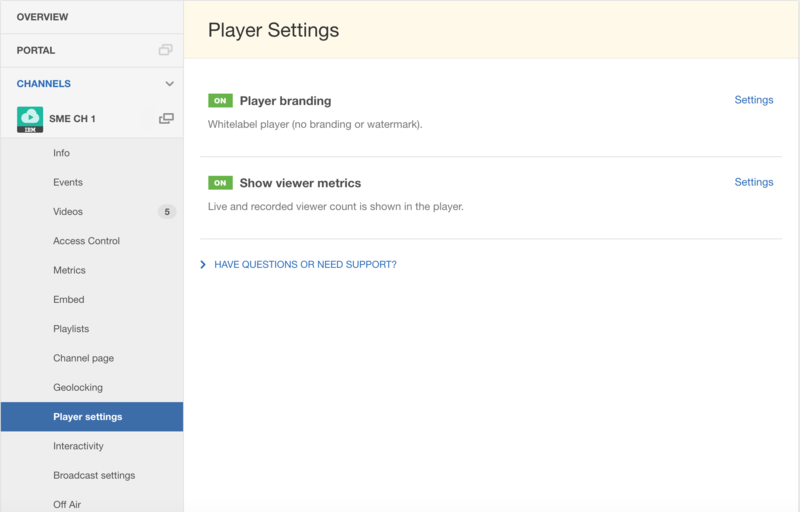 The Player Settings tab in your Channels tab of your Dashboard allows you to customize the player branding and change whether or not viewer metrics will be displayed for your live broadcasts and your Videos On Demand is visible on your player. To customize the player with your own logo select Custom branding and choose the file you wish to select. After you have chosen the correct file select the Upload button and click Save. The custom branding will appear int the bottom right corner of the player. 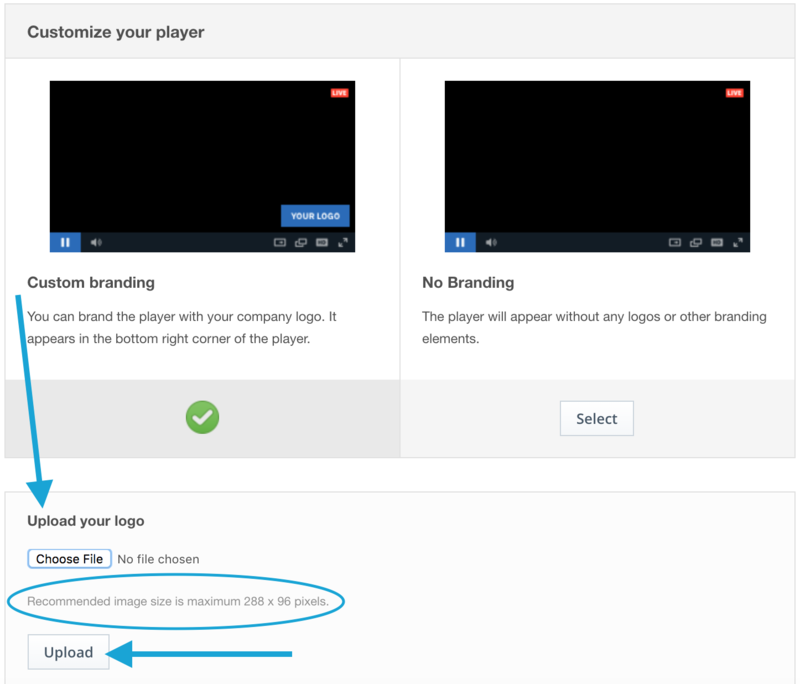 If you desire no branding on your player, simply select the No branding option and click Save. 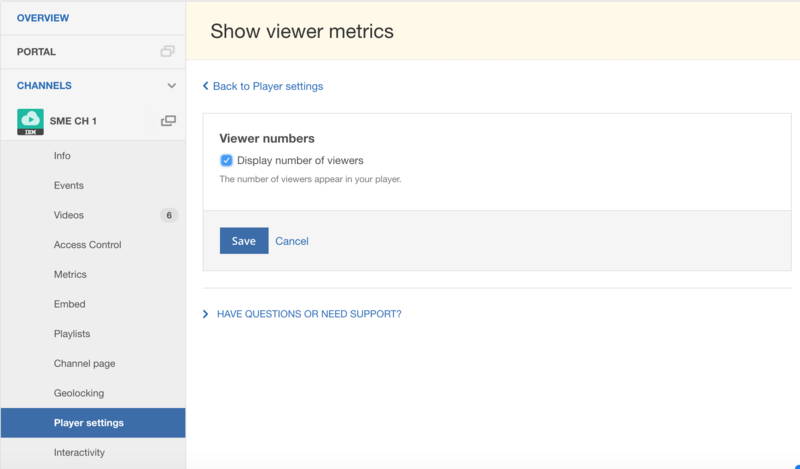 For live broadcasts, viewer metrics will be displayed in the lower left corner of the player. 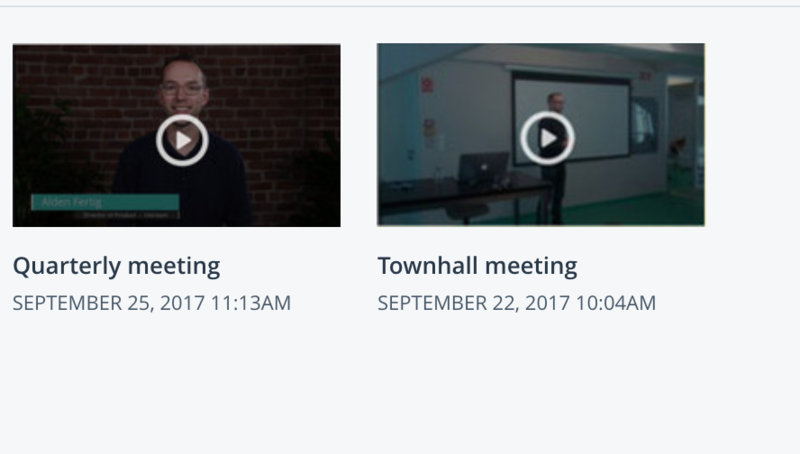 For VODs, this information is displayed next to the thumbnail of each video.